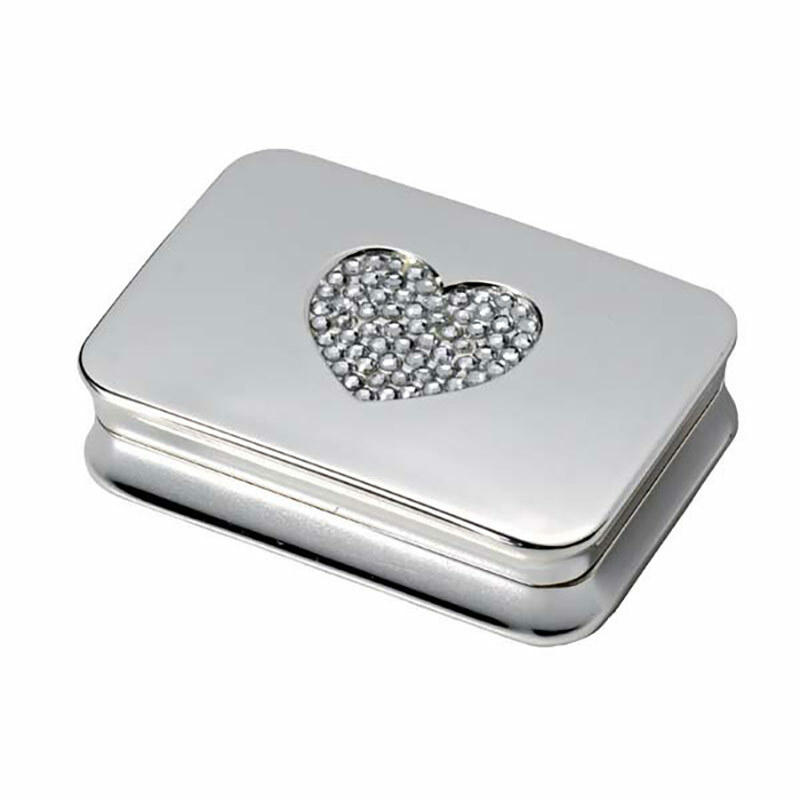 A rectangular pill box with a quality silver plated finish and heart shaped decoration on the lid inset with crystals. 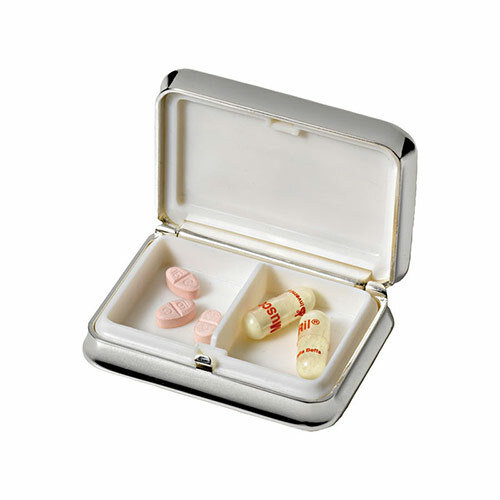 These hinged pill boxes have two internal compartments within a hygienic liner. They can be engraved on the lid to create branded corporate gifts or merchandise, and they are offered here with free text and logo engraving.